Health officials Sunday began distributing millions of condoms to fight AIDS and other sexually transmitted diseases during Brazil's five-day Carnival. Health Minister Jose Gomes Temporao launched the program at a Rio de Janeiro cultural centre, saying the government expects to hand out some 19.5 million condoms by Carnival's end on Ash Wednesday, Feb. 6. "We have to let society know the importance of prevention," Temporao said. Church officials in Brazil - home to the world's largest Roman Catholic population - have opposed the condom program, as well as another plan to hand out morning-after pills in the city of Recife. 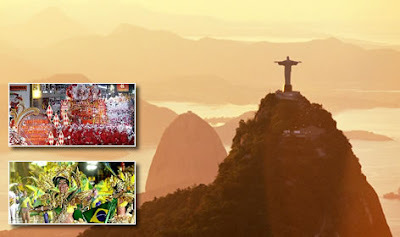 "The church has nothing against having fun during the Carnival, but the banalization of human sexuality is something we cannot tolerate," Bishop Antonio Augusto Dias Duarte of the Life and Family Commission of the National Conference of Brazilian Bishops said last week. About 80 per cent of young men polled by the Health Ministry reported using condoms, although just 40 per cent of women said they insist on it, Temporao said, without giving more details on the survey. Nearly 600,000 Brazilians are HIV positive, of whom 200,000 are being treated, he said. The United Nations has praised Brazil's AIDS treatment program, which provides free anti-viral medications that significantly improve life expectancy, as a global model.